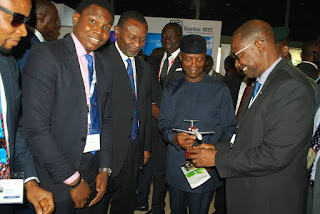 Home Headlines VP OSIBANJO, MINISTER OF BUDGET, OTHERS RECEIVE "DANA AIRPLANE MODEL" AT NIGERIA ECONOMIC SUMMIT. 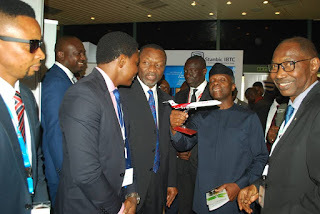 VP OSIBANJO, MINISTER OF BUDGET, OTHERS RECEIVE "DANA AIRPLANE MODEL" AT NIGERIA ECONOMIC SUMMIT. The proactive partnership between Nigeria Economic Summit Group and Dana Airlines have received the commendations and support of the federal government, as Vice president Yemi Osibanjo guests the 2018 Nigeria Economic Summit to discuss its' theme "Poverty to Prosperity. 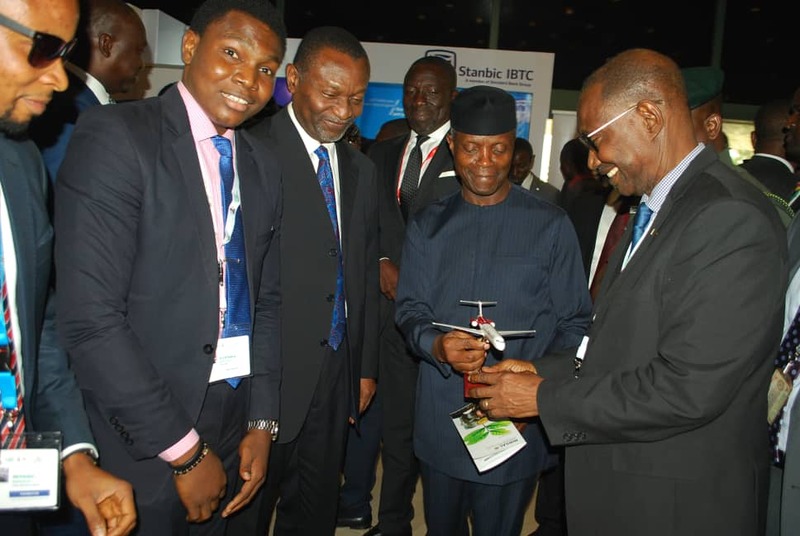 The 2018 Nigeria Economic Summit witnessed the presentation of the "Dana Airplane Model" to Vice President Osinbajo, who was accompanied by the Minister of National Budget and planning, Chief Udoma Udoma. The presentation was made by Dana Air Team, commemorating its improved and advanced operations in air transport services across the globe. 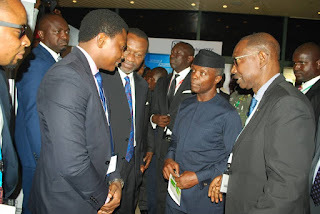 Dana Airline has been on the lead of best international air service delivery in recent times. As an air partner to 2018 Nigeria Economic Summit, Dana Airline has provided special discounts to guest and delegates to facilitate the efficiency of the summit, which is ongoing at Transcorp Hilton Hotel, Abuja. The discourse of this edition is focused on five key pillars of inputs and outcomes that will serve as the summit's sub themes: Corruption and Rule of law, Effective Public Institutions, Sustainable Economic Opportunities, Human Development, Participation and Citizens' Rights.